Soulja Boy & Q Money Clear The Runway To "Walk In The Drip"
Home>New Songs>Soulja Boy Songs> Soulja Boy & Q Money Clear The Runway To "Walk In The Drip"
Soulja Boy keeps the ball rolling. If Soulja Boy doesn't end up having the biggest comeback of the year, surely he'll be eligible for having the most prolific run. Soulja Boy had a hand in creating the template of flooding the market with music but sometimes, it's easy to overlook the music he releases since it comes in abundance. Earlier this week, he released a short three-track EP titled, Tell Ya. Now, he links up with Q Money for his latest track, "Walk In The Drip." 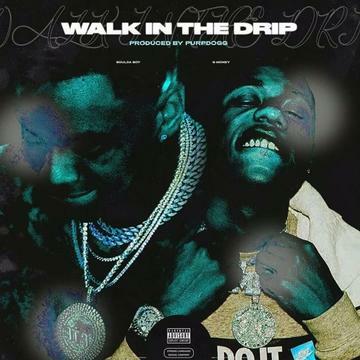 Soulja Boy and Q Money serve up a brand new banger titled, "Walk In The Drip." The two rappers link up with producer Purppdogg for the track who serves up an EDM-type banger for the two rappers to flex their drip on. Along with the release of "Walk In The Drip," Big Draco also released his track, "Hibachi" with Lil 100. What I just spent on the kicks? SONGS Soulja Boy & Q Money Clear The Runway To "Walk In The Drip"